Domaine Belle has roots in Hermitage that date back several generations. The estate was founded by Louis Belle in the 1930’s. At the time, the harvest was sold to negociants or the local cooperatives. In fact, Louis Belle became one of the founding members of the now famous Tain l’Hermitage wine-making cooperative. In 1971, that began to change when Domaine Belle, headed by Albert Belle at the time began purchasing additional parcels of vines in the region. Domaine Belle built their first modern winery and cellars in 1990. Philippe Belle has been in charge of the estate since 2003. Domaine Belle owns 31 hectares of vines in the Northern Rhone Valley. Their best vines are in Hermitage in the Les Murets and Diognieres vineyards, which have a terroir of granite, limestone, sand and gravel soils. However, many of those vines are located in soils with more sand and limestone. Domaine Belle produces red and white wine in other Northern Rhone appellations including Crozes Hermitage and St. Joseph. In Hermitage, Domaine Belle has about 1.5 hectares of vines planted in the Doignoeres and Murets lieux-dits. They have old vines, some of which are more than 50 years of age. Starting with the 2014 vintage, Domaine Belle began using 100% organic farming techniques in all their vineyards. Domaine Belle produces 2 wines in Hermitage, a red and white wine. Domaine Belle Hermitage Rouge is made from 100% Syrah grapes that are generally not destemmed. Although that can vary, depending on the vintage. The grapes are whole bunch fermented in stainless steel tanks. Malolactic fermentation takes place in tank. 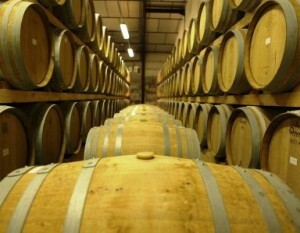 The wine is aged in 50% new, French oak barrels for between 18 to 26 months before bottling. Domaine Belle Hermitage Blanc – To produce the white wine of Domaine Belle, vinification takes place in a combination of vessels; 100% new French oak barrels and, or stainless steel tanks. This can vary depending on the vintage and the appellation. Malolactic fermentation takes place in the same combination of vessels. The wine is made from a blend of 75% Marsanne and 25% Roussanne, however, the blend can vary depending on the vintage. The wine is bottled after 10 to 12 months of aging. Domaine Belle produced a vineyard specific, Hermitage Cuvee, Les Murets for 2 vintages, 1999 and 2000. Domaine Belle also produces red and white wine in the Crozes Hermitage and St. Joseph appellations. In Crozes Hermitage, Domaine makes a plethora of wines: For their red wine, they make Crozes Hermitage Rouge, les Pierrelles, Roche Pierre and Cuvee Louis Belle. For their white Crozes Hermitage wine, they produce: les Terres Blanches, Cuvee Louis Belle and Crozes Hermitage Blanc. Domaine Belle is usually better with 7-10 years of cellaring and should be at its best between 10-20 years of age. Domaine Belle is best served at 15.5 degrees Celsius, 60 degrees Fahrenheit. The cool, almost cellar temperature gives the wine more freshness and lift. Domaine Belle is best served with all types of classic meat dishes, veal, pork, beef, lamb, duck, game, roast chicken, roasted, braised and grilled dishes. Domaine Belle is also good with Asian dishes, hearty fish courses like tuna, mushrooms and pasta. Domaine Belle Hermtage Blanc is best served with a myriad of different seafood dishes, shellfish, crab, lobster, sushi, sashimi, chicken, pork and veal, as well as Asian cuisine. Luscious, round, white and yellow fruits with touches of honeysuckle and salty, crushed stones to round out the picture. You can enjoy this, or age it for more honeyed characteristics. There is a lot of concentration here, but there is an equal amount of hard, crunchy tannins as well. The fruit is on the bright, quite fresh, peppery, red berry side, so this wine is definitely a good fit for classicists. Time could help soften and bring this better together. Still quite young, the dark, colored, full bodied, richly textured wine offers ripe, dark, fresh, peppery blackberries, smoke, espresso, and stony characteristics. Much of what this will offer is still held in reserve. Give it another 6-10 years and it should really shine. Medium bodied, easy drinking, lighter, fresh, crisp, bright red fruit styled wine, with stony, forest, pepper and herb accents. You can drink this now. It is probably close to, or at full maturity, so further aging is not going to add to the wine. Dark in color, lush, round and concentrated, with intensity of flavor and ample notes of stone, licorice, ripe blackberry, smoke, espresso and herbs.